I just back from vacation on a lake in Northern Maine. It was breathtakingly beautiful. Swimming, canoeing, hiking, campfires, reading by the lake, all so soothing. But I missed communicating with you! 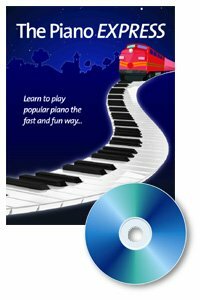 This video piano lesson continues where we left off on building spatial awareness of the piano keyboard. After all, if you know your theory and notes on the staff, that isn't quite enough. 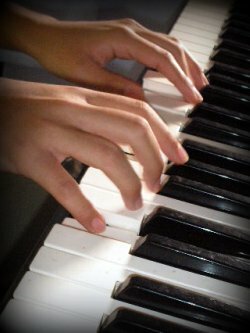 You need to be able to move smoothly from one chord to another. This is what makes your music sound effortless and flowing. So let's build on what we did two weeks ago (sorry for the wait). If you like this video, please like it and comment on the YouTube Comment section and share it with your friends. Get the word out, piaying the piano is fun!! 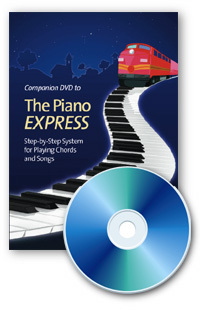 The Piano Express (book and CD) and The Piano Express DVD are normally $44. From August 9-20, we will be offering a 20% discount which means it costs you $35 plus shipping. We will also throw in the Chords to Go ($16 value) for FREE! Be well and we'll talk soon!